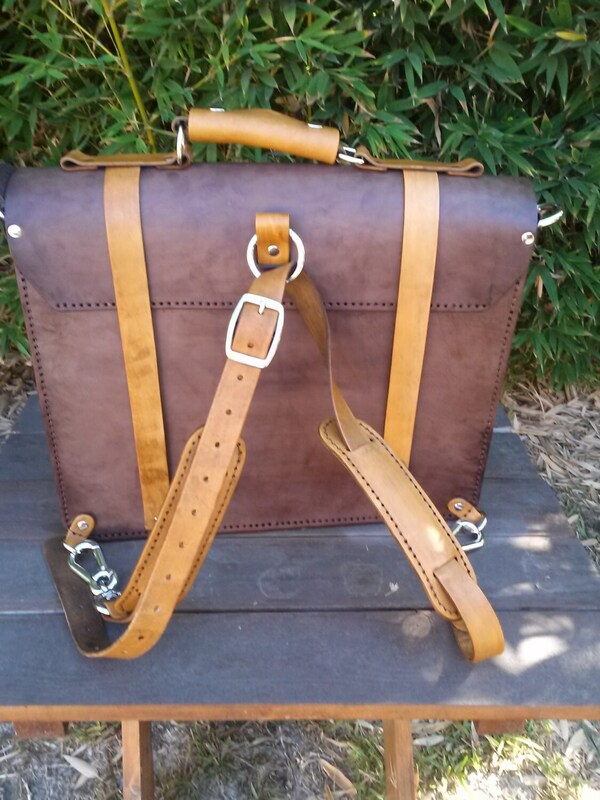 Custom leather briefcase that converts into a backpack in seconds. 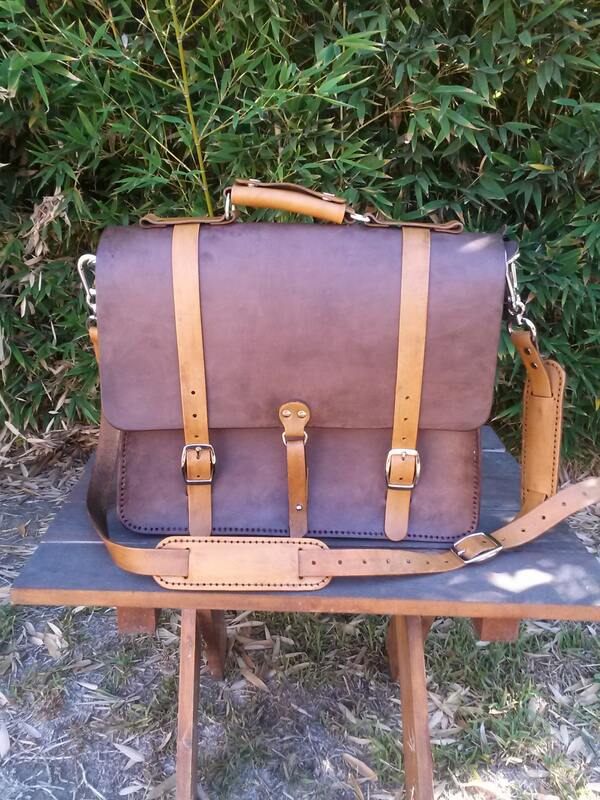 Adjustable and removable shoulder strap. 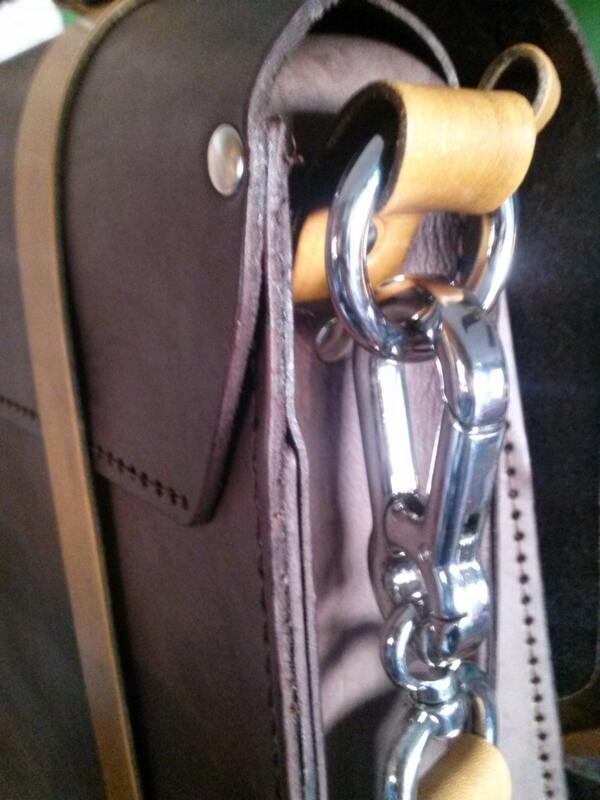 Flap closes with two buckles and a button. 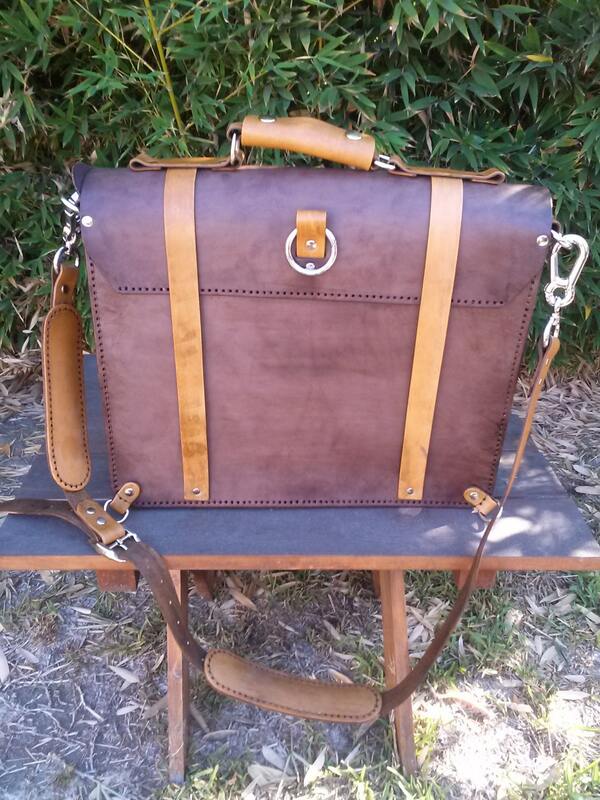 Two large internal gusset pockets and 1 flat file pocket. Also has lobster spring clasp inside to hook your key ring for easy access. Measures 16 in (41 cm) wide x 14 in (36 cm) tall x 5 in (13 cm) deep.